He is the man who came to London and created a vast empire. Not William the Conqueror and his Tower of London, but Tim Martin and his affordable pub chain — beer and burger deals, gaudy carpets and all. Considering he's behind Wetherspoon and its 950-odd UK outlets, Martin could hardly sound more nonchalant over the phone. He's on an exercise bike too, yet his Kiwi drawl (he was born in Belfast, partly schooled in New Zealand) remains slow and constant and he never gets out of breath. Not even a sound of that famous silver mullet flapping about. How could a man so docile have given birth to something so huge? Was it all just one serendipitous domino effect? Certainly, when Martin acquired his first pub, a former bookies in Muswell Hill in 1979, it was opportunity rather than anything else. "It was opened by a chap called Andrew Marler, and he didn't like it," says Martin, "so after 10 months of him running it I took over his lease and I changed the name to Martin's. That way I only had to change three letters." Perhaps the UK's best-known pub chain would now be called Martin's, were it not for one of the staff accidentally putting an A-board through the window a few weeks later. When Martin fitted the new glass, on a whim he changed the name to Wetherspoon. Perhaps the UK's best-known pub chain would now be known as Martin's, were it not for someone putting an A-board through the window. There's been much tittle-tattle about that name — that it came from a teacher who told a young Martin he'd amount to nothing. That's not quite the truth. "No teacher has ever said that to me," says Martin, "I doubt any teachers say that to anyone in the world. "He was a very nice fella but couldn't control the class, which was how I regarded myself at the time." Martin possessed more business acumen than he might have realised; having converted a disused motorcycle showroom in Crouch End in 1981, and opened up a small pub off the Holloway Road in 1982, he sold up the first Wetherspoon the following year, and made his first big purchase — the Rochester Castle in Stoke Newington. It was historic, cavernous, had a garden, it was on the high street; it had all the components of today's typical Wetherspoon. It remains the chain's oldest surviving pub. Everyone has the things they love and hate about a Wetherspoon. In the positive camp, it's usually competitive prices and the beer selection. In fact, whenever someone badmouths a Wetherspoon, you can be sure someone else will pipe up in its defence, citing the ales. The 1970s and 80s were a notoriously poor time for real ale consumerism, with CAMRA, established in 1971, and a select few pubs just about keeping the stuff flowing. Marler's had had half a dozen or so real ales on draught, and Martin kept them in. He's been putting six or so on draught in every pub ever since. Who chooses what goes on tap? "The manager of the pub has pretty well carte blanche to buy whatever beer they want," says Martin. "But we've also got a central supplier — David Aucutt from East West Ales. We've been dealing with them for about 25 years and Dave deals with a lot of the regional and micro brewers and arranges the supply for us." My favourite Wetherspoon in London? That's like asking Tiger Woods who his favourite woman is! Wetherspoon's respect for beer continued more recently with the chain's adoption of craft beers. Martin, though, admits it's unlikely you'll catch him with a saison on the Bermondsey Beer Mile. He's much more likely to be seen nursing a pint or two of bitter with a newspaper at one of his preferred London haunts — the Churchill Arms in Kensington or the Jolly Anglers in Putney. 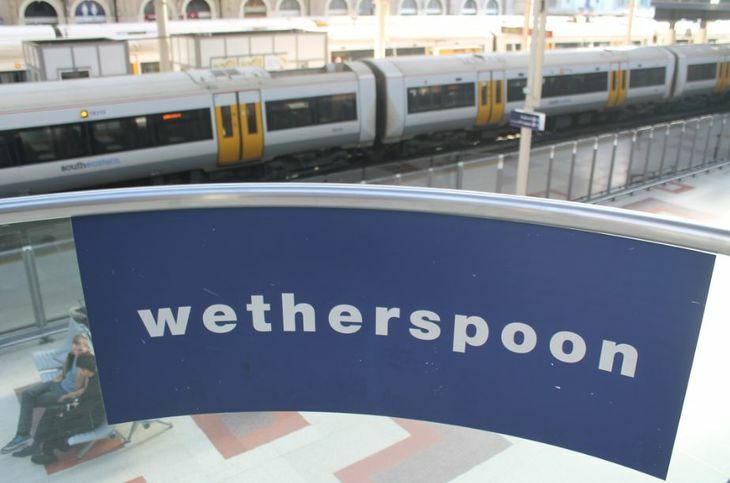 Which begs the question: what's Martin's favourite Wetherspoon in London? "It's like asking Tiger Woods who his favourite woman is!" Martin laughs. 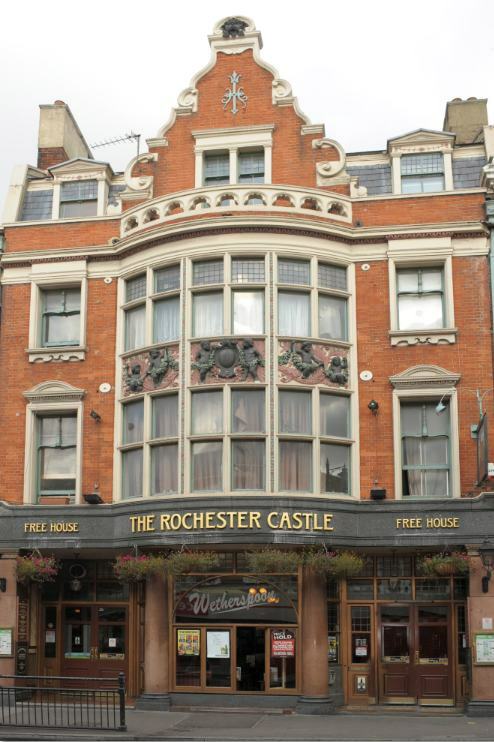 "The Rochester Castle is a great pub — lots of character and a great history. Hamilton Hall near Liverpool Street station is an amazing building... The White Swan in Islington is worth a look, and the Crown and Sceptre on the South Circular Road is an amazing pub as well." But having such a cache of pubs means it's hard to keep on top of it all. Recently, a story appeared about how each Wetherspoon has its own unique carpet. "The first I knew of it was when I read about it in the Guardian!" laughs Martin. "When I spoke to our designers they said 'it's pretty well true, although there are one or two pubs with the same carpets'. But broadly they're different." This leads to another reason for Wetherspoon's ubiquity in London and the UK. Martin deplores the idea of a 'brand', and claims that whenever a new pub is bought, every effort is made to retain what it was before, and the area around it. It's true that instinct often tells you you're in a Wetherspoon — there's a certain atmosphere, that ale-carpet-and-condiments smell, those big laminated menus flopping about the tables. But whether it's the gold-trimmed, Corinthian-columned stage of a bar at the Capitol in Forest Hill, or a small display about the actor George Cole in JJ Moons in Tooting, you can't deny each place has its own character, and is trying to say something of its past. That's also why we won't be seeing any more 'Moons' added to the Wetherspoon family. While the chain name came from a haphazard teacher, many of the individual pub names came about from George Orwell's essay on the perfect pub. "We did a few Moon Under Waters and Harvest Moons and what-not," says Martin, "and a few of the design buffs started to feel we weren't being true to our principles. So there aren't many Moons these days." It would be nice to sell pints for the same price everywhere... but our rent in a small pub in Leicester Square is £430,000 per annum. 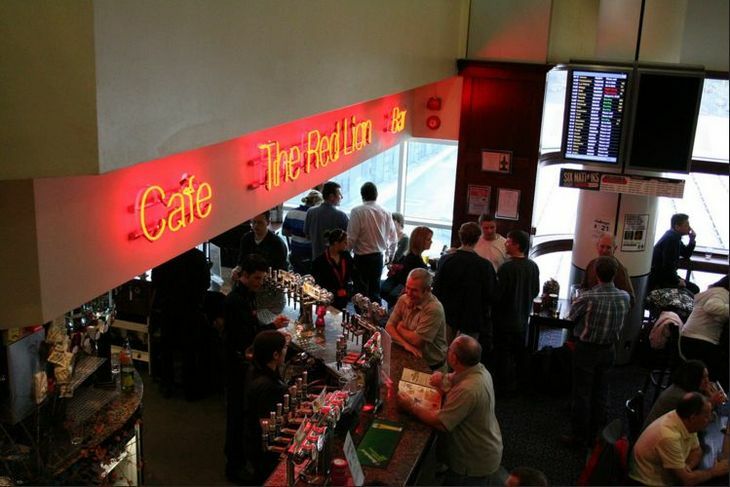 One thing many Londoners would like to see homogeneous in the chain, is the prices: is it fair that you might spend over £4 on a pint in Victoria station, and get the same for almost half that in, say, Ruislip? "It would be nice to sell pints for the same price everywhere," admits Martin, "but it does vary... I think our rent in a small pub in Leicester Square is £430,000 per annum. It's more than that in some other pubs, so Leicester Square costs more than JJ Moons in Ruislip Manor. That's the only way it can be really." Another pub that's costing Martin a pretty penny in rent is the Mossy Well in Muswell Hill (the name refers to the etymology of Muswell itself), which opened in October last year. 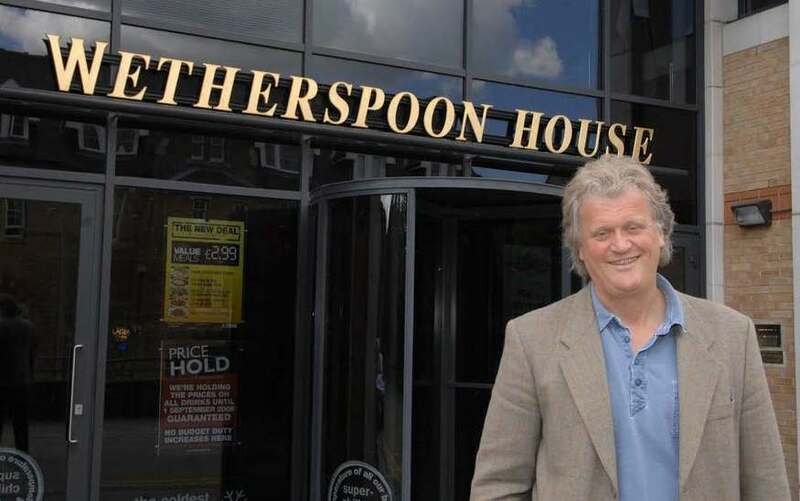 Says Martin: "We sold the first Wetherspoon on 4 May 1983 and were certain we'd find a pub on the Broadway — a bigger pub — within a couple of years. And it took 33 and a half years. That's an usually long time." Wetherspoon, then, has finally returned to its roots. But as it's filled out London with larger venues, the chain is now fanning out into the suburbs. One of Martin's projects at the moment is a Wetherspoon hotel in Northolt: "We won't be able to compete with Hilton or Premier Inn but 12 rooms is a start," says Martin. Then again, a small pub in Muswell Hill was a start too. Hilton and Premier Inn ought to watch their backs. High Wages But High Rent: Is London Worth The Trade-Off?